"This is a tasty cornbread with texture and a good flavour! The recipe makes a larger than expected loaf. I use the dough setting on the bread maker and then bake it in a large loaf pan, but you could bake it in the bread machine also." See how to make moist and tasty cornbread with a kick. 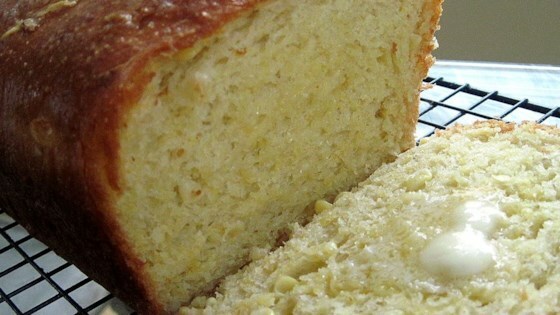 Spicy and tasty twist on the traditional cornbread + turns out perfect in bread machine!!! Tasty, easy to make and the whole family loves it.